Answers to the most common carpet questions are laid out in details in the FAQ sheet below. How many times have you thought that life would be simpler if you only knew the answers to several common questions! 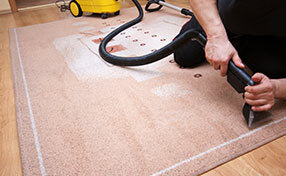 Here you can find great answers to frequently asked questions related to carpet cleaning and stain removal. Well-explained, simply presented and easy to read! Take a look and get answers to all own questions. 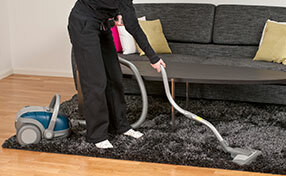 If you want to find out more about carpet cleaning and looking for answers, read the following related FAQ. Why should I invest in handmade rugs? Handmade rugs are valuable. They cost more than machine made rugs but they are ideal if you are a collector or you appreciate traditional rugs. If you follow the rules by the book concerning rug cleaning procedures, your oriental rugs will decorate your home or office spectacularly and they will last long enough for your great grandchildren to place them on their floor, too. They have great investment value and would make your room look luxurious. What is the ideal size of handmade rugs? It is practical to get medium or small size handmade oriental rugs. They will be cheaper and rug cleaning will be easier and faster unless you have a huge house and a very big living-room floor to cover. Even in that case, placing two or three Persian rugs instead of one will be better. You will have the chance of changing their positions and they will be lighter to carry out for ventilation. Carpets are actually the best insulators. In fact, they can offer excellent sound-proof and thermal insulation and that's why they are perfect if you live in a location with heavy winters or have children who like to bang on the floor. If you live in an apartment, the people downstairs will be grateful. When carpets are thicker, the insulation will be greater but carpet cleaning will be harder. For higher insulation efficiency, place oriental rugs over carpets. How long will my carpet take to dry and how soon will it be back in use? The time of drying depends on several conditions, such as how soiled the carpet was, weather conditions, how much water were used and indoor atmosphere. In most common cases, carpets should be dry within 6 hours. 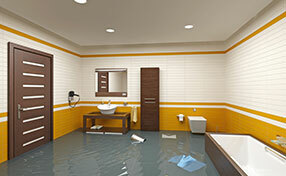 Why should I test cleaning products? Each carpet is different. Even if they are machine-made, they might be made of different fibers. A small area should be checked so that you won't deal with discolorations. You can test that by using a towel to clean a tiny carpet area. Depending on whether fibers are natural or synthetic, you will still need to choose the right ecofriendly products so that the fibers won't be ruined. A small test of your carpet cleaning product will protect the fibers.